Please check and confirm whether the operating system is 64-bit. If it is not, please change to 64-bit operating system and try again. Please contact our online customer service for further assistance. Error Info: IOError that shows up during analyzing process. Exit the desktop client, then open “Computer”, type in %appdata%/Foxrenderfarm/ and then press “Enter” to enter Foxrenderfarm folder. 2. Type in “.pl” in search box and press “Enter” to search all .pl files in the folder. Select all .pl files and press “Delete”. 3. 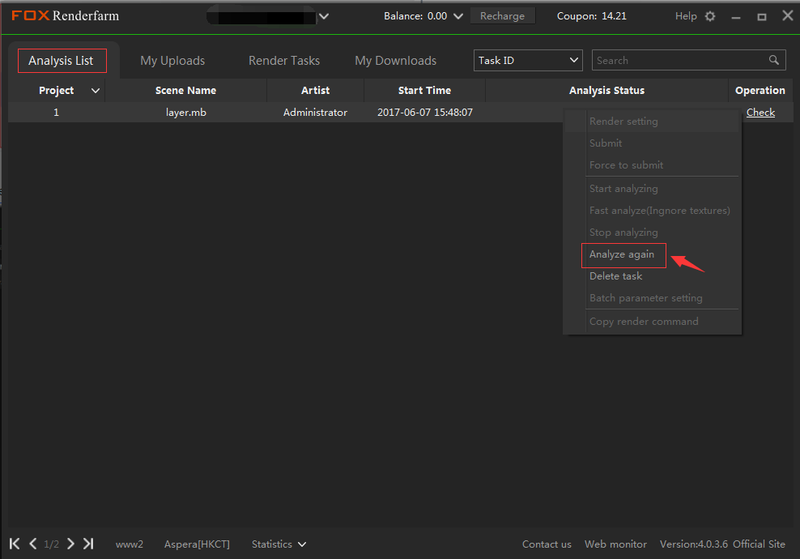 Please restart the desktop client, go to “Analysis List” then choose the scene file and press “Analyze again”. Please try to re-analyze again. It might be due to local congestion on network. Please proceed to step2 if it is not working. It might be due to Port 41011 that is required by desktop client is occupied by other process and can be verified by DOS command netstate -ano | findstr "41011" as shown below. The port can be released by rebooting the computer. Please analyze again after the rebooting is done. Please confirm and check whether the C drive is full, if it is not full, please proceed to step2. 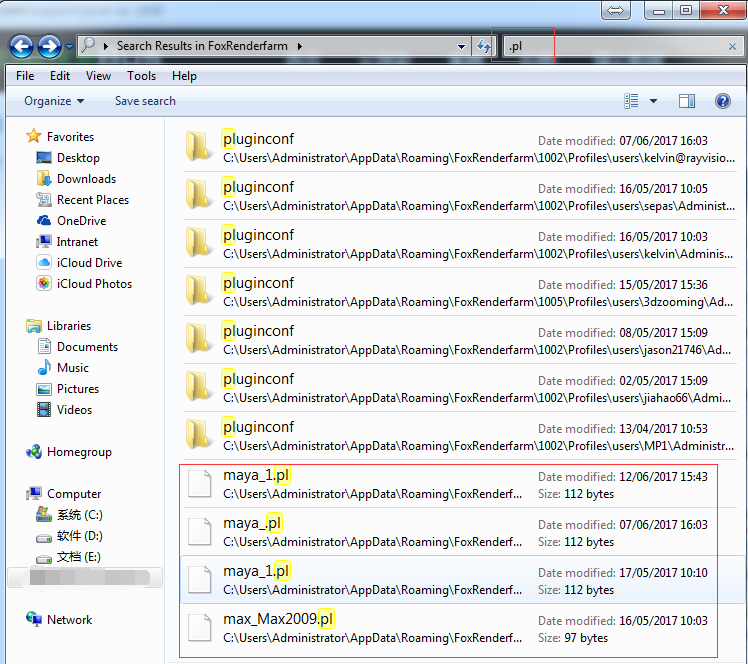 Open the path of %appdata%\FoxRenderfarm\1005\Profiles in the computer, copy and save the “users” folder as a backup, then delete the “users” folder. Please proceed to step3 if it is not working. Please try to re-analyze again. Access the installation path (click on the desktop client on the desktop with right button, select “Open file location”), double-click on Cleanup.bat file to close the desktop client, then restart the desktop client. Close any antivirus software (some files might be blocked/quarantined by antivirus software) and reinstall the desktop client if the problem still persists (not due to network connection problem). Please assure that the desktop client is installed at the path no other languages other than English. The issue of getting plugin information failed in a minute will give the prompts of “Please check the network connection” or “Analyzing stop”.